Nathan is going to be taking Geometry this year for his 10th grade math. 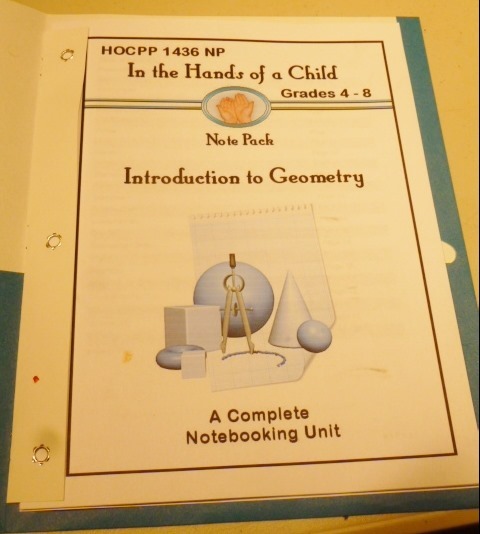 So when we had the opportunity to review the Notepack – Introduction to Geometry from In the Hands of a Child, I jumped on it. The Introduction to Geometry comes as a downloadable PDF. We downloaded it to our desk computer, laptop and Kindles. We also still enjoy the paper side of learning, so we print them out and put them in a binder. The learning is self contained. 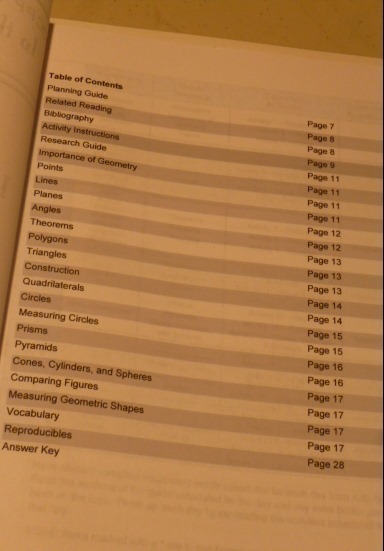 A table of contents shows individual items that will be studied. . A list of activities show what will be covered each day. The Notepack shares a reference list of books that you may want to use to supplement the pack. For us, none of the books listed could be found in our small library. That was ok, as the text in the pack has the answers. We read through the sections as given above by the schedule and underlined the answers in the text. Nathan was then able to fill in the notebooking pages with his from the text. 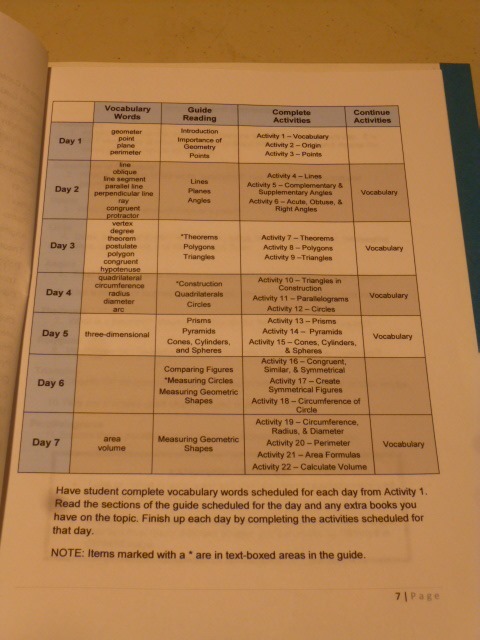 Each day has a few vocabulary words to look up, then questions regarding Geometry. For each of the geometric terms, they will be able to give a short response of definition. After learning many of the aspects of Geometry, they measured circles and various shapes and volumes. This particular notepack is pretty straight forward. I wanted to have a completed notebook to have as a reference for Geometry – and now we have one! 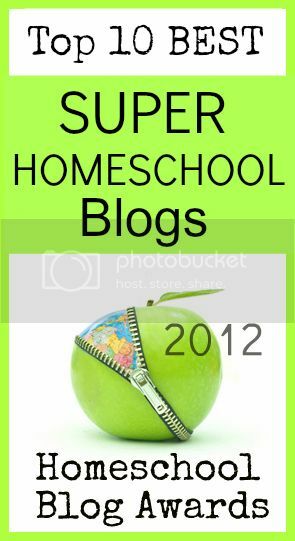 However – I think I still feel the same with with us regarding lapbooking and notebooking. (In the Hands of a Child has many Lapbooks also). We prefer to learn about an item while living life, reading books, experiencing projects, talking to people and watching movies. Then we like to take that information and record it in a notebook. For us, I would love to use this product again in the spring as a wrap up of what we have learned all year, and see if we would be less reliant on the text to find the answers. 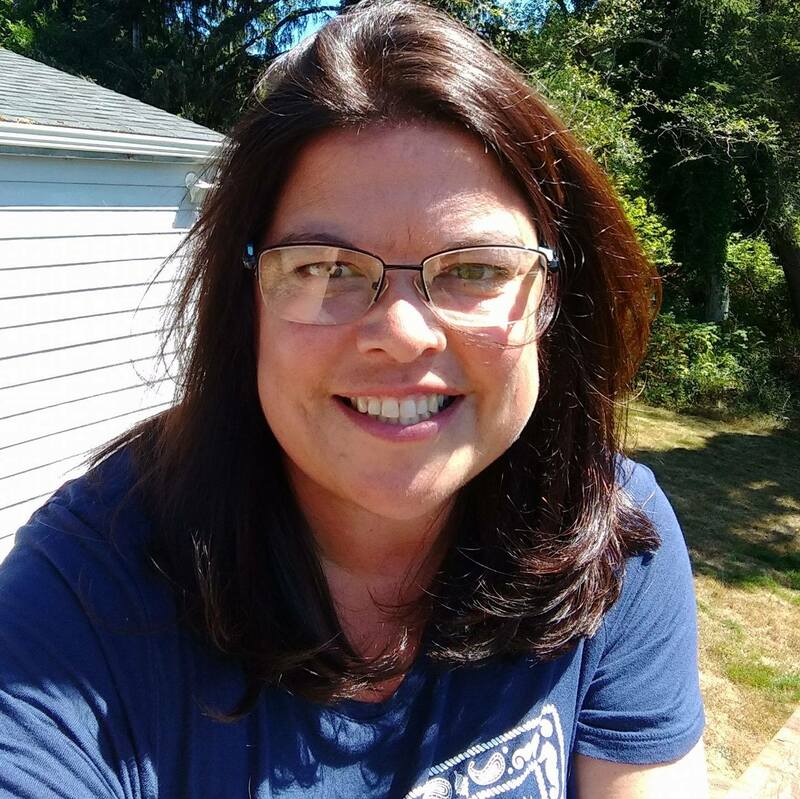 Day by day, a few questions at a time, this is a fun introduction. It is aimed at 5th through 8th grades and they should be able to do the work independently, especially if printed. Help them with the first day, show them the questions and the text, and then have the notepack pages printed to help them. My boys like to use their own notebooks to record the information. This would work well too. One of my sons likes to recreate the notepack page in his notebook – again, there is freedom to be creative doing this type of project. This would also be good if you needed to give a report and had a short time to gather information. At the end of 7 days you would have enough information for a great presentation. 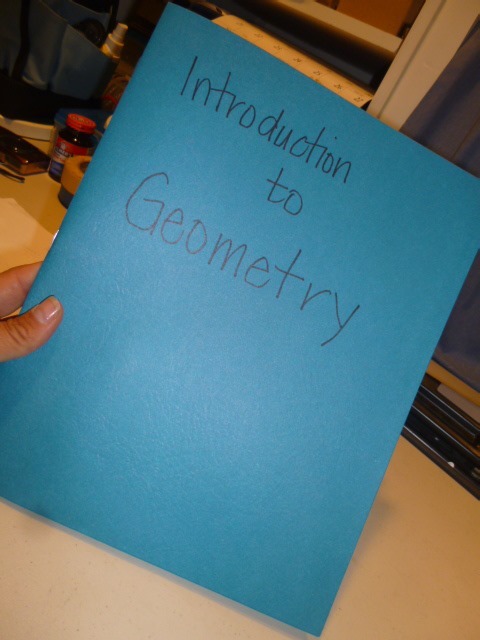 I am glad we were able to get a jump start on the year, and now we have a hand made resource of terms, vocabulary, and examples of Geometry. Right now, the Introduction to Geometry, aimed at 5th – 8th grades, is on sale for $5.00. Regular price is $12.00. 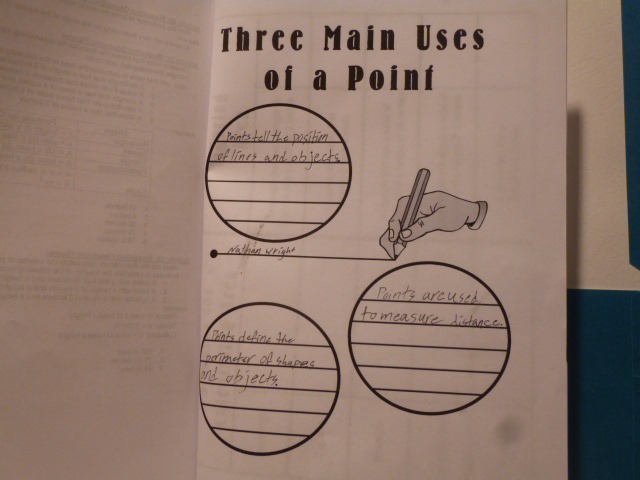 This entry was posted in Math, Reviews, Schoolhouse Crew, Some Schooling and tagged geometry, handsofachild, hsreviews, Math. Bookmark the permalink.